I’ve definitely got kitchens on the brain, which is unavoidable when you’re in the midst of a kitchen design for your own home! In a recent post (Functional Cabinetry For The Dream Kitchen), I featured a few different solutions for concealing countertop appliances like stand mixers, can openers, toasters, slow cookers, etc. behind ‘garage doors,’ while keeping them conveniently located exactly where you want them. However – what if you don’t want to conceal your kitchen gear? What if you had an appliance so cool, so sleek and attractive, it would be a crime to hide it behind a solid wood door? 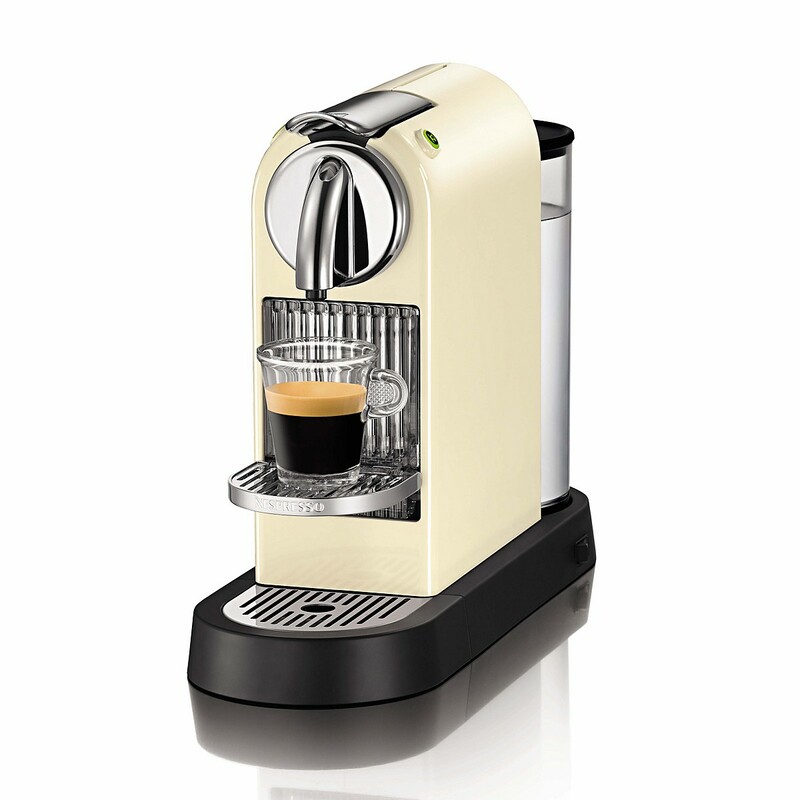 I have one of these fine machines- the Nespresso Citiz. It was a Christmas gift to my husband this past year. 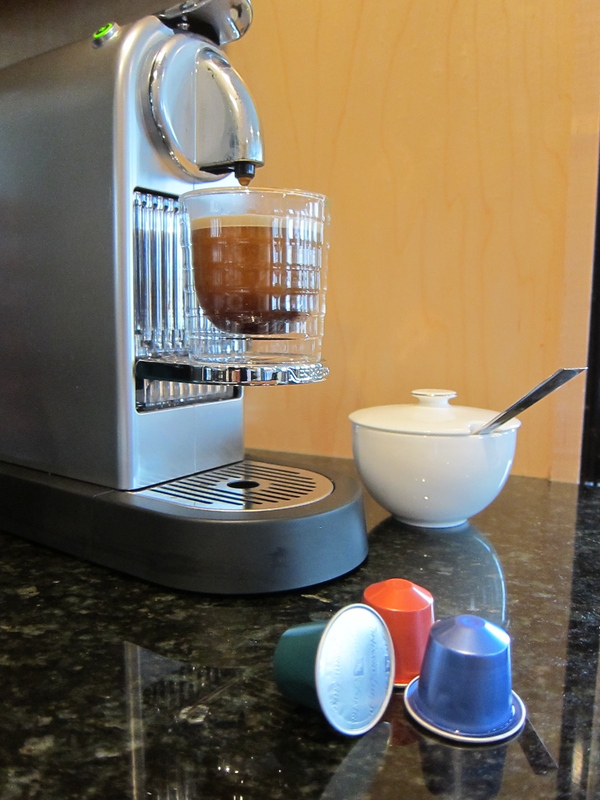 Huge upgrade from the standard drip coffee maker we had previously been using for our morning brew. 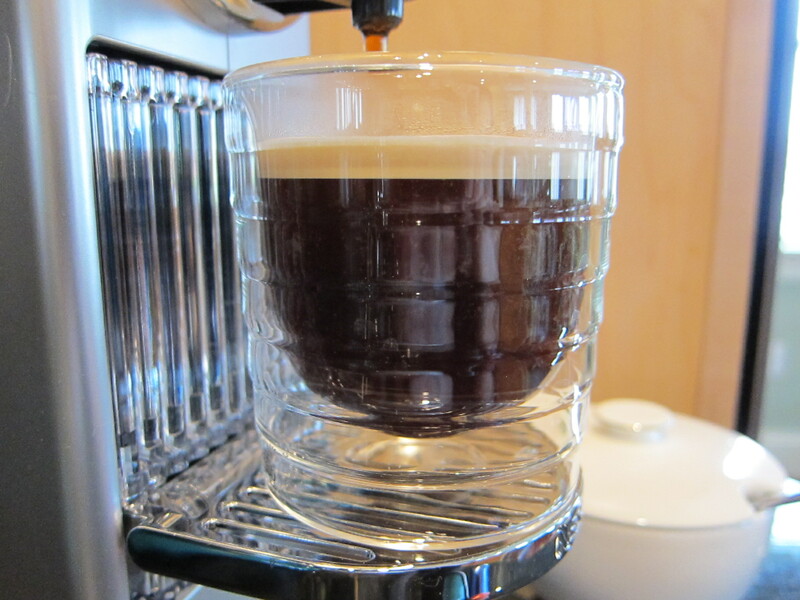 The design of these single cup espresso makers is just fabulous. They have a slim profile, a retro inspired look, and they come in a variety of colors. We have the polished chrome/brushed stainless combo, but I saw this one in a (mostly) white kitchen at an open house and loved it. Nice! Yes, I think we get attached to our coffee machines. My stand mixer is another prized possession, and a beautiful shade of green (KitchenAid Artisan in bayberry), but I think it’s a bit too bulky and draws too much focus to be put on display. I am in need of a new mixer and love the colors KitchenAid offers. I lean toward the stainless steel, but I really want to grab one with color!